Singer Chris Robinson has offered his first comments on the breakup of The Black Crowes. "It came from songwriting,” he tells the Broward/Palm Beach New Times. “The Black Crowes don't write songs anymore. They don't think of the present or the future. I like making albums and playing concerts. I was sitting on two EPs' worth of written songs." Growing impatient, the singer revived the Chris Robinson Brotherhood – originally launched during the Crowe’s 2010 hiatus – and released its third album, “Phosphorescent Harvest”, last year. "The Black Crowes were a rebellion,” explains the singer. “This is a pragmatic reaction to how I feel. The only revolutionary thing we're doing is staying out of the music business. There's Olive Gardens and Red Lobsters in music. We just don't eat there. We're grassroots." Chris’ comments follow a statement issued by brother/guitarist Rich on January 15 announcing the end of the Crowes. "It is with great disappointment and regret that after having the privilege of writing and performing the music of The Black Crowes over the last 24 years, I find myself in the position of saying that the band has broken up,” said Rich. 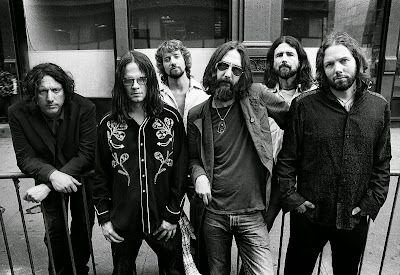 "I hold my time with the Black Crowes with the utmost respect and sincerest appreciation. It is a huge swath of my life's body of work." The guitarist also revealed details regarding controversy within the group that fueled his decision not to return.